At the Grand Canyon—Grand Staircase strata sequence, both the column of sedimentary rock layers and the fossils are observable and real. The stacked layers throughout this region appear in a definite order. They contain fossils in a recognizable order, too, reflecting the order in which the organisms were buried during the Flood. Indeed, the pattern of first appearances doesn’t fit the expected evolutionary order but instead is consistent with the rising Flood waters, as they inundated the continents. Furthermore, even the pattern of finding tracks before bodies is consistent with creatures surviving in the initial Flood waters before eventually perishing. 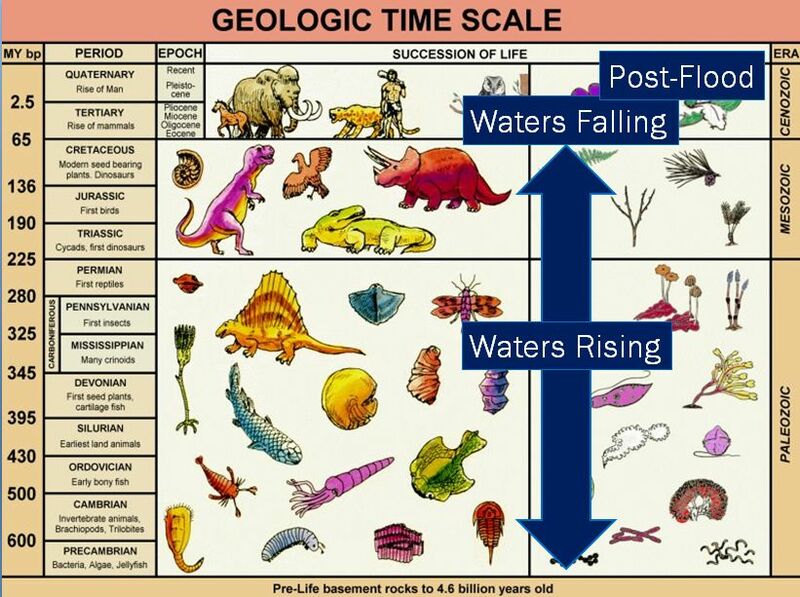 So the geologic column and the fossils’ order and patterns agree with the biblical framework of earth history. The observable evidence in God’s world totally agrees with what we read in God’s Word.